Have you been following the news about retail recently? If you have, then you may have noticed that the retail news outlets have been filled with doom and gloom lately. We hear about numerous store closures and buyouts, and there seems to be a general loss of confidence in physical retail. But here at Vend? Our belief in brick and mortar stores is stronger than ever. Yes, there have been several closures and not-so-great news about physical retail, but, don’t let all the negative news bring you down. Instead, take a look at these 5 retailers that are not only surviving in these turbulent times but are actually growing and thriving. The sales of TJX have been growing for 33 straight quarters now, and the company’s annual sales are higher than Nordstrom and J.C. Penney combined. The result? TJX always has a fresh assortment of merchandise that keeps buyers on a constant “treasure hunt.” Shoppers know that great items go quickly at T.J. Maxx, so they tend to buy on the spot. This treasure hunt experience also keeps people coming back. There’s that feeling excitement in knowing that you can score a great deal whenever you walk into a T.J. Maxx store. Speed matters in retail. If you fail to adapt or keep up with your customers, you’ll get left behind by your competitors. Evaluate your business and identify things that are slowing you down. Find ways to streamline your operations so you can test things and roll out initiatives more quickly. You should also consider empowering your employees to trust their judgment and make decisions. Invest in proper staff training and then give workers room to flourish and grow. One of the world’s most valuable companies bet big on brick and mortar stores, and it paid off incredibly well. According to Quartz not only did the Apple experience “strong double-digit growth in visitors and revenue,” but its stores continue to have the highest sales per square foot in the retail industry. Additionally, a significant chunk of its revenue — two-thirds — continues to come from retail. Aside from having great products and a well-known brand, part of what makes Apple stores so successful is the experience that people get when they’re in these shops. Apple was one of the first to implement mobile checkout, and the company’s employees were trained to build relationships and add value to customers’ lives, rather than simply selling to them. Apple continues to innovate. The company recently redesigned its stores to include board rooms and even a town square (for bigger shops) where people can hang out. It also launched “Today at Apple” an educational initiative where people can learn about various topics, including photos, videos, design, coding, and more. Evaluate your in-store experience. Do you encourage people to stay and engage with employees or is your shop all about getting people to spend money? Are you running any initiatives that add value to your customers’ lives? If not, consider holding events or classes and see how people react. So far we’ve talked about the success stories of big companies like Apple and TJX. And while there are plenty of great lessons to be learned from the big guys, SMBs also have a lot of valuable pointers to impart. That’s why for our next success story, we’re putting the spotlight on TheSuperCool, a Melbourne-based emporium that sells unique, everyday items. TheSuperCool started off as a mobile gift emporium. According to its owners, David “Noonie” Nunez and Kate Vandermeer, they would drive around Australia and would use social media to alert their fans to their presence. Since then, TheSuperCool has hosted 30 pop-ups, opened a brick and mortar location in the South Melbourne, and expanded their brand with TheSuperCool Kid. They’ve also grown their mailing list by a whopping 750% in three years. How did the company do it? For starters, TheSuperCool’s assortments are thoughtfully curated and are sourced from small business makers that offer organic, fairtrade, and handmade products. The company also collaborates with exclusive products. Because of this, the store’s items are unique, high quality, and are oozing with personality. TheSuperCool also has a fantastic loyalty program called SuperCool Amigos. The program has perks such as exclusive shopping experiences, personalized styling advice, vouchers, and more. And to keep in touch with customers, TheSuperCool collects email addresses using the Vend‑Collect Rewards integration. This has helped Noonie and Kate grow their email list by 750% in the three years. A good way to get people to buy from your shop is to offer items that they can’t find online or in other retail stores. Strive to improve your assortments by incorporating more unique items. And don’t just display or showcase your products; thoughtfully curate them. Get to know your customers and show off your merchandise in such a way that they appeal specifically to them. Finally, don’t underestimate the power of loyalty programs and emails. Set up a rewards initiative and make sure your top customers know how much you value them. You should also make it a point to communicate regularly with your customers. Collect their email addresses and stay on their radar by sending high-value messages. Kuwaii is the opposite of fast fashion. It’s a high-end apparel retailer that produces beautiful, timeless clothing and footwear made locally and made to last. The first Kuwaii location opened 2012 in Brunswick, and the business doubled its size soon after that. Kuwaii opened a second store in 2014, and it doubled its business yet again. Additionally, the company creates fashion films, and this enables Kuwaii to tell interesting stories behind its products and company, while collaborating with community members at the same time. One of the most admirable things about Kristy (and what we believe greatly contributes to the success of Kuwaii) is her strong dedication to her values. Promoting your values and staying true to your beliefs will attract loyal customers who believe in your philosophy. So stay true to your beliefs and support others who have the same cause. This will help you build a strong, unique brand and you’ll gain a loyal following along the way. You’d think that with the presence of ebooks and Amazon, anyone would be crazy to venture into physical book sales. But, as Books@One proves, running a brick and mortar bookstore can actually be very rewarding. What’s the secret to the company’s success? Two words: customer experience. “Here, we don’t just sell you a book. We’re a place to visit and become immersed in, a place where you can participate in community events, find out what’s going on in the area and the world, or just relax and enjoy a coffee and a chat,” says owners Brid Conroy and Neil Paul. “We’re creating an atmosphere where people engage with books in a communal way again,” they added. On a more practical level, Brid and Neil make it a point to stay on top their inventory. “We sell both secondhand and new titles, as well as notebooks, cards, t-shirts, and so on, so it’s really important to keep complete track of stock,” they said. Books@One achieves that balance with the help of Vend. 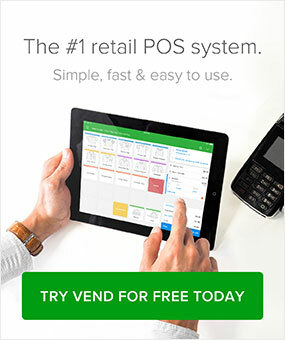 According to Brid and Neil, they use Vend’s retail analytics software and reports to get a real-time view of their inventory, so they always know what they have at any given time. Take your in-store experience to the next level. Find ways to get shoppers to linger in your store and promote a sense of community. While you’re at it, make sure you’re running a tight ship with stock control. Arm yourself with a system that gives you a real-time view of your inventory, and use tools that make it easy to purchase, add, and edit products. The reports of physical retail’s death are highly exaggerated. Consumers will continue to flock to brick and mortar stores, but to get them to do that, you need to give them a compelling reason to do so. That reason could be sense of community, a cause that they believe in, unique and amazing products, or all of the above. 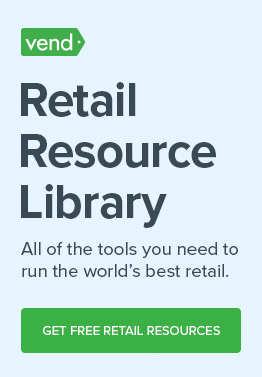 Find what works for your store. Determine what makes you unique, and then make sure that your story comes to life in your location(s). Great article Francesca! Good to hear some good news retail stories! For certain items I believe consumers still like to ‘touch & feel’ a product in a retail store. And in my own humble (& biased) opinion small independent outlets will always do a better job. As a specialty retailer, our focus is educating our customers and offering a highly personal instore experience.